This article is about the recruitable character. 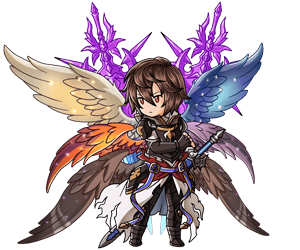 For the summon stone, see Sandalphon (Summon). 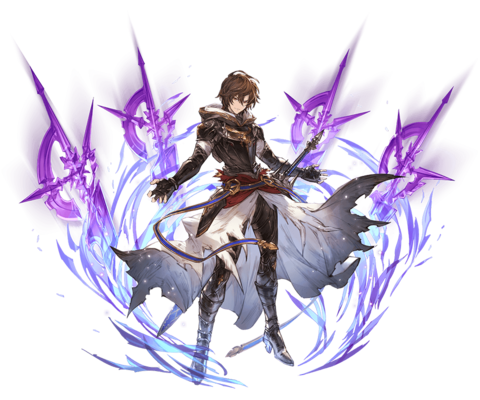 [Primarch of Vengeance]This title is an unofficial, amateur translation. 1660 / 1970Fully uncapped HP at MAX level. 7700 / 9150Fully uncapped ATK at MAX level. 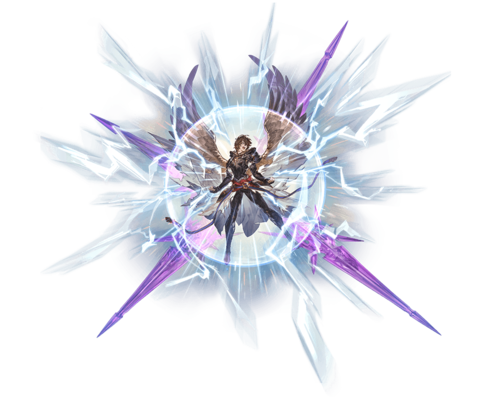 Having arisen from a deep, long slumber, this archangel has inherited the will of the supreme primarch, Lucifer. 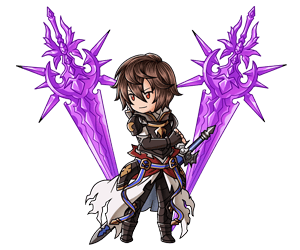 Though Sandalphon previously had no role to play, he now bears the burden of carrying out vengeance in hopes of fulfilling a promise. Ain Soph Aur Massive Light damage to a foe. Paradise Lost Massive Light damage to a foe. Duration: Indefinite: Ecliptica activates twice. Counter attacks grant 5% charge bar per hit. for up to 5 hits. 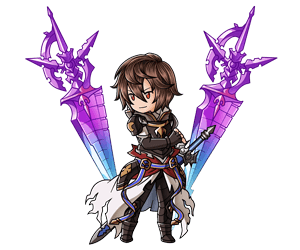 ⇮ Lvl 90This skill is enhanced again at level 90. Light damage to a foe (Damage cap: ~690,000). 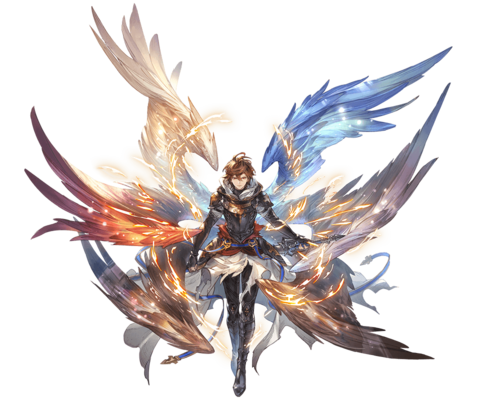 Restore caster's HP based on 50% of damage dealt (Healing cap: 800). Damage cap increased to ~800,000. Healing cap increased to 900. Damage cap increased to ~900,000. Healing cap increased to 1000. ⇧ Lvl 95This skill is enhanced at level 95. Chance to remove 1 debuff at the start of each turn. Debuff removal chance increased to 100%. Strength: 10% if HP is full. Requires completing the side story What Makes the Sky Blue II: Paradise Lost to unlock his first Fate Episode. is permanent and cannot be removed. It is not consumed upon using Ecliptica. The level 100 skill enhancement does not require completing a fate episode. The ATK boost gained from this EMP passive is Normal. This page was last modified on 3 April 2019, at 00:25.